This email will bring you up to date on our bills of interest, the full text of the bills we are monitoring can be found at the link below. Senator Locke, formerly PBA endorsed candidate, submitted SB 196, Decertification of Law Enforcement Officers. This bill failed in the Senate. The vote follows. If any of the legislators who voted Nay represent you be sure to thank them if you have the opportunity. YEAS--Saslaw, Howell, Lucas, Edwards, Stanley, Deeds, Petersen--7. NAYS--Obenshain, Norment, McDougle, Stuart, Reeves, Chafin, Sturtevant, Peake--8. Senator Marsden submitted SB 851, Procedural Guarantee for Corrections Officers. This bill has passed out of the Senate without opposition. The bill now moves to the House for consideration. HB 802, Enhanced Penalty for Speeding to Elude failed to pass House Courts of Justice sub committee. 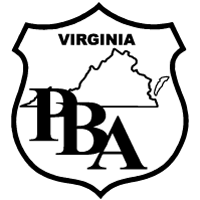 Delegate Levine asked for PBA support of HB 402. After considering the bill it was decided to support this measure as it moves through the process. HB 1287, Procedural Guarantee for Deputies submitted by Delegate LaRock has been assigned to a sub committee of Militia, Police and Public Safety. If you agree that citizen review panels are not productive and are harmful to law enforcement we urge you to contact any and or all of these delegates and let them know your point of view on the matter. The link below will guide you on how to identify your legislator and we strongly recommend you contact them also.